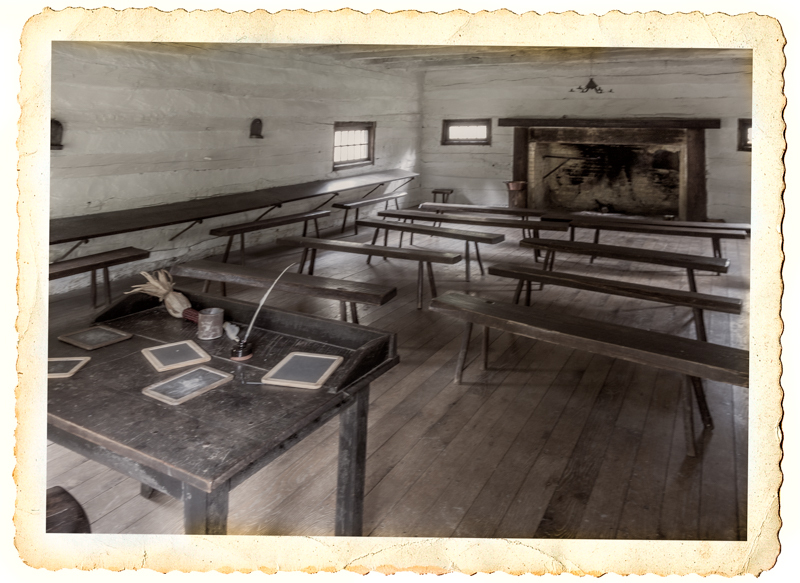 School sessions among the Delaware had already commenced beginning in February of 1773, but on this day of that year Moravian Missionaries completed the first school house west of the Allegheny Mountains. This school house was located in Schoenbrunn Village, one of several Moravian settlements created in the Tuscarawas Valley that also included Gnadenhutten, Lichtenau, Salem and Goshen. Eight years later a brutal massacre occurred at Gnadenhutten. Recreated school house room at Schoenbrunn Village. The Moravians were eastern European Christian missionaries that sought to bring Christianity to Native groups originally in Pennsylvania, but they also moved into Ohio. One of their distinctions from other missionary groups in North America, is the fact that all of the missionaries in the field had to learn the Native American’s language, teaching them in that language. Three years after building the schoolhouse, David Zeisberger published a spelling book for his Delaware pupils. In time Zeisberger translated the dictionary, sermons, hymn books and liturgies into the Delaware language. Part of his educational program included teaching the Delaware children personal hygiene.